Welcome to Quilt with Jenny! 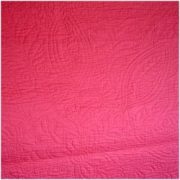 I’ve been quilting for 40 years and love to share my passion and skills with others. On my website you’ll find details of how you can learn with me through one of my workshops, details of upcoming events, and a shop where you can buy my patterns, books and DVDs. I wanted to let you know how much Sue and I enjoyed our quilting day at the V&A. 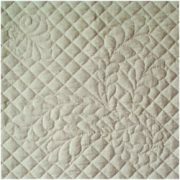 It was a great day and I think we were both surprised at how much we enjoyed it, as neither of us like hand quilting! Thanks again. Thank you for your lively enthusiasm and sharing of such practical knowledge.